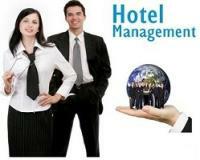 In the past few years, Hotel Industry in India have significantly increased. This has contributed to the growth of the Hospitality Sector as well. In all parts of India, several Guest Houses, Hotels, Motels, Rest Houses, Resorts, etc. have been established. Consequently, there has been an increase in the manpower requirements of the Hospitality Sector.